The power of reviews is undeniable in its ability to increase the trustworthiness of your business. However, did you know there was another way to increase the conversion rate on your site by displaying customer photos? When a customer clicks on one of your products or services on your site, you have the ability to show photos with reviews. This allows potential customers to see their experience with your product or service versus just reading about it on your product page. . When customer’s leave a review for your business, they have the option of uploading a few photos with their review. 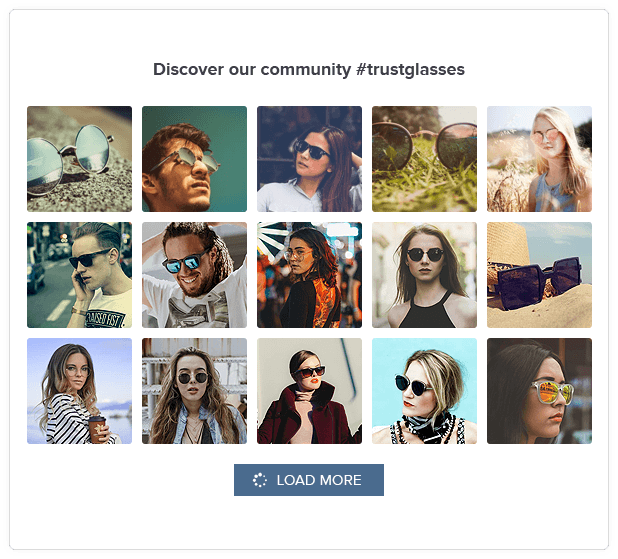 Once photos are approved they are displayed on your product pages, on your main website pages, on your profile page, and also in various trust elements. With all of the great improvements we've made in 2018 so far, my favorite one has to be our integration with Instagram. 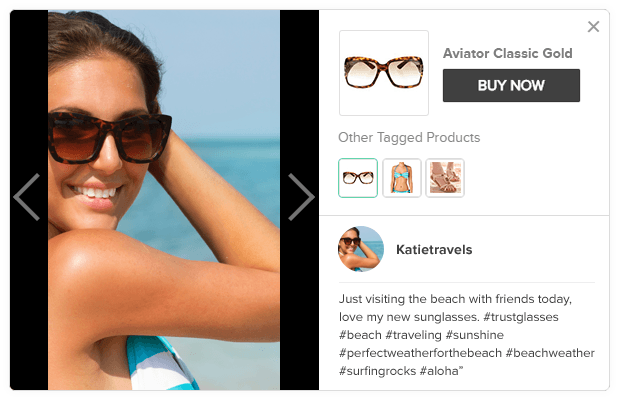 Now you can pull amazing photos from your loyal customers and display them on your website. 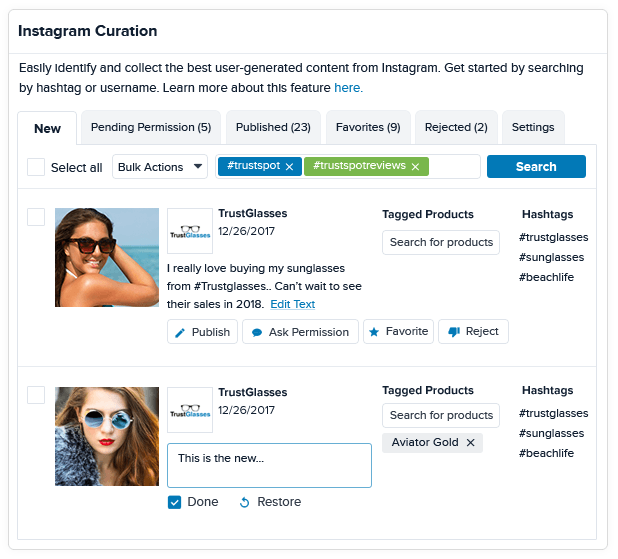 Photos can be tagged to certain products as well, so when prospective visitors come to your site, they can see exactly what product is referenced in the photos. This gives you an great vehicle to increase sales. Based on customer feedback we will continue to build out our Visual Marketing platform to help all of our customers further increase their sales. Customer Photos are apart of our feature "Visual Marketing" which is found on our Premium Plan. 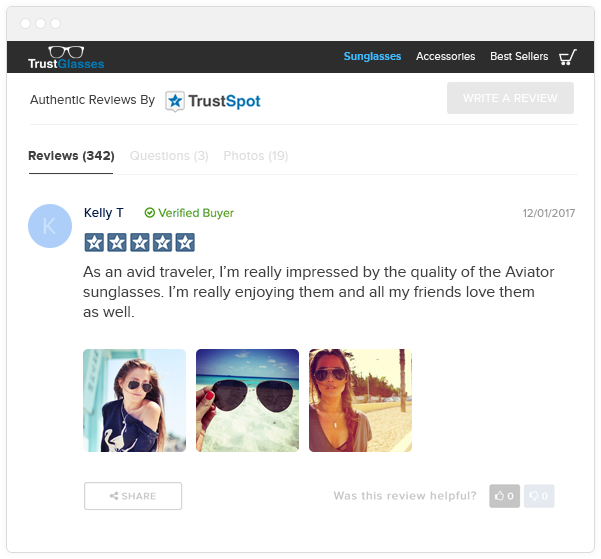 To enable Customer Photos for Company Reviews, login to your TrustSpot account, and go to Company Reviews > Automatic Email Settings > Other Settings, and select to enable Customer Photos.